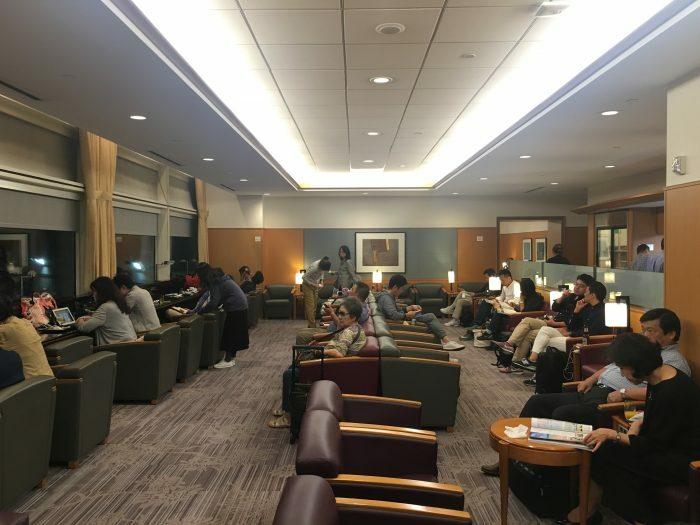 With my late night departure from San Francisco still almost 2 hours away after the SFO Cathay Pacific lounge began to shut down, I made my way down the hall to the Japan Airlines Sakura Lounge. When I arrived, the lounge was packed. It’s a much smaller space than other SFO lounges. JAL makes up for that by cramming in as many seats as possible. It did begin to gradually empty out as the flight time neared. 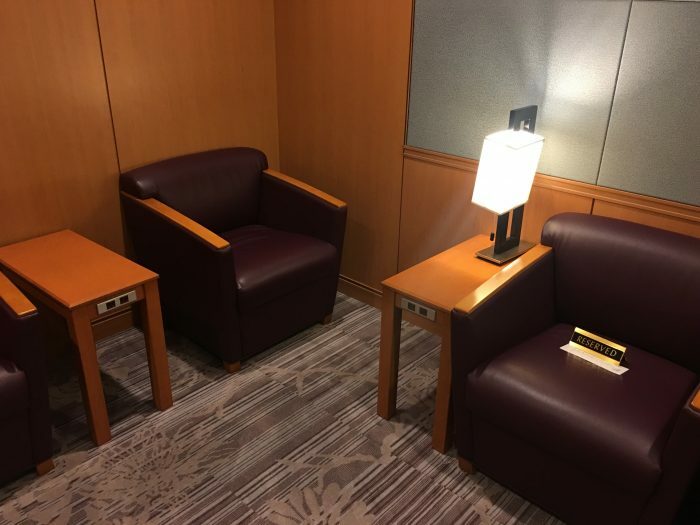 The Sakura Lounge at SFO has a separate section for first class. It’s the saddest first class lounge I’ve ever seen. It’s comprised of just enough seats for each first class passenger, and that’s it. At least there were plenty of power outlets, but the wifi was terrible. 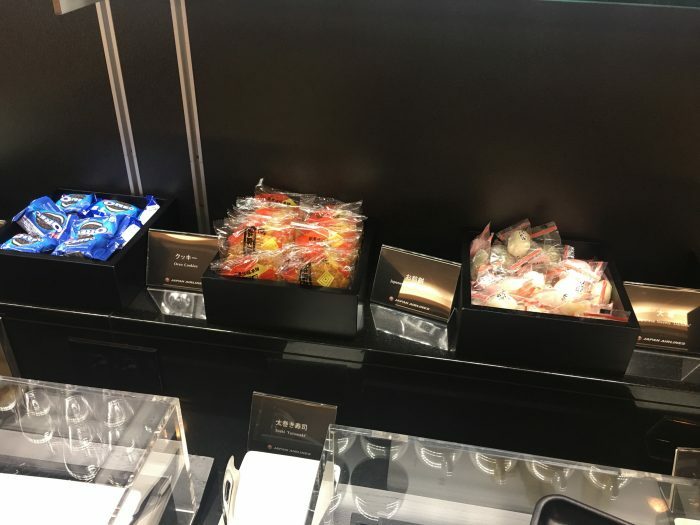 As you might expect, much of the food in the Japan Airlines lounge was Japanese. However, it was almost uniformly inedible. 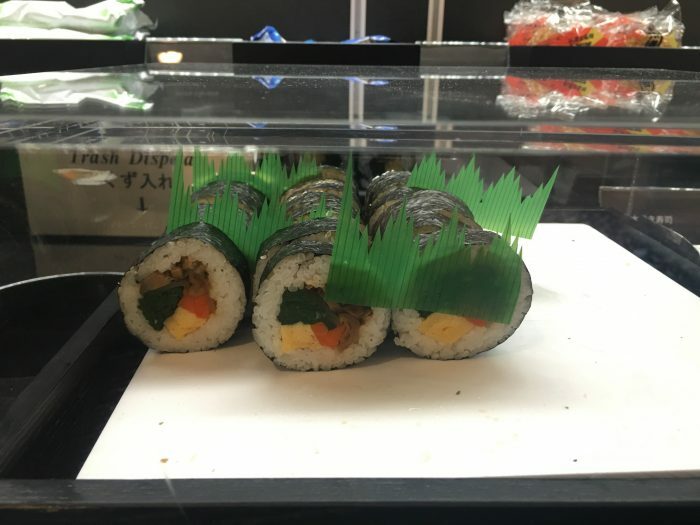 That sushi looks disgusting. 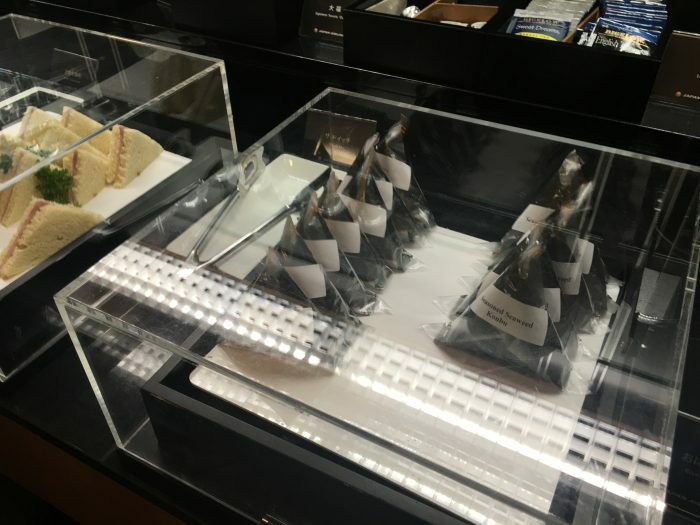 The JAL lounge also had onigiri rice balls and other packaged snacks. I tried one, and it was the worst I’ve ever had. There was instant ramen, which I suppose is unique. 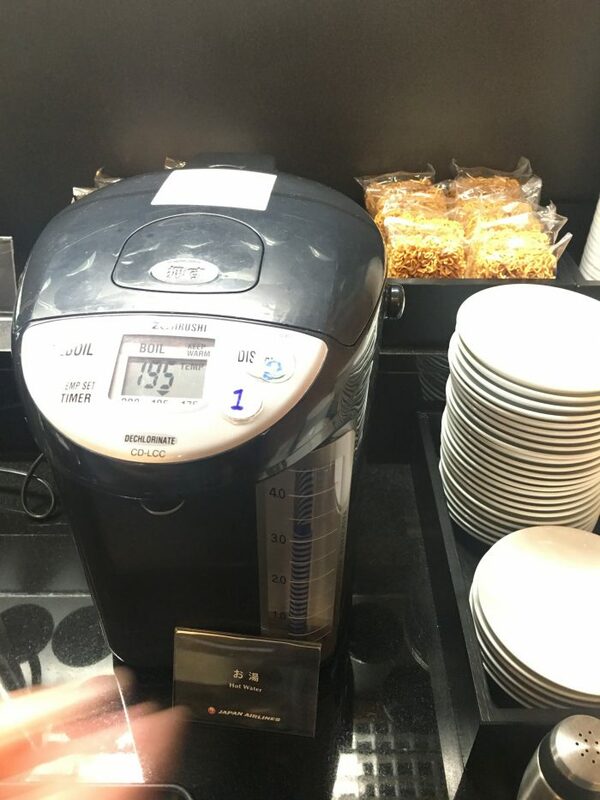 It’s still of far worse quality than the noodle soup that is made-to-order at the SFO Cathay Pacific lounge right down the hall. 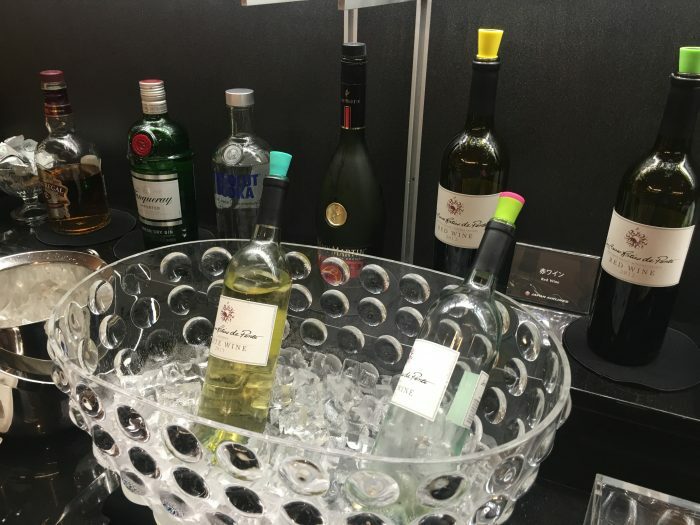 The open bar had only three liquor selections, all fairly low quality. 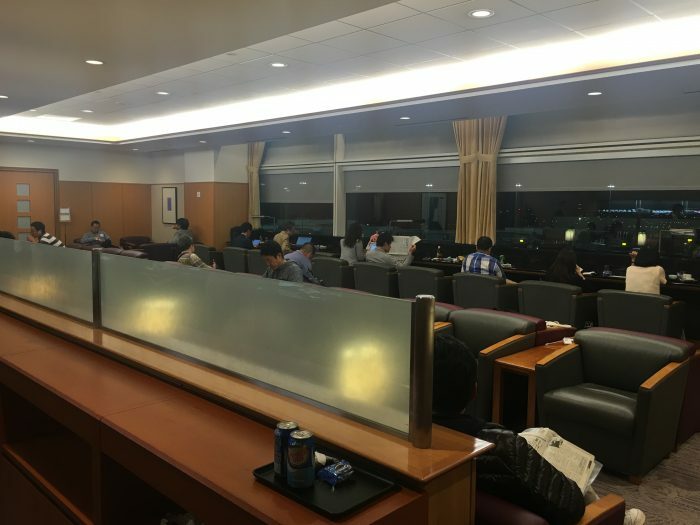 Between the packaged subpar food and the cramped space, the Japan Airlines Sakura Lounge is the worst oneworld lounge at SFO by a mile. 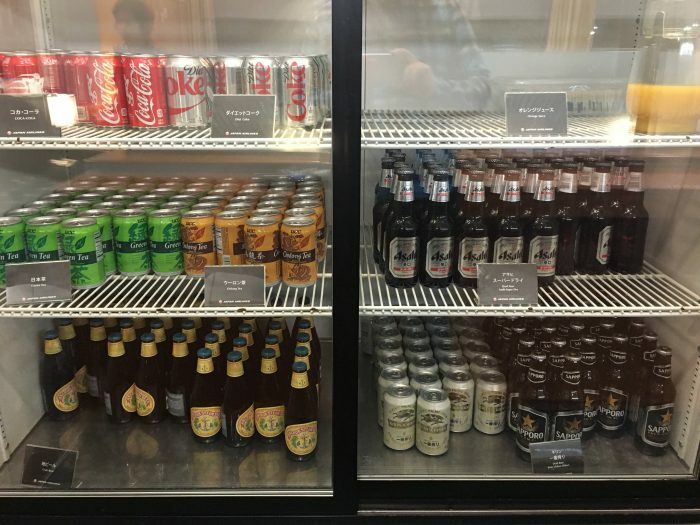 Go to the SFO BA lounge or SFO Cathay Pacific lounge instead if you can. The airline should honestly be ashamed that this is their offering, especially when they do so well with their first class & business class service on the flights themselves. Given that at the time of my trip, my flight left so late that the inflight service was abbreviated, JAL could have made up for that on the ground, but they failed to do so. 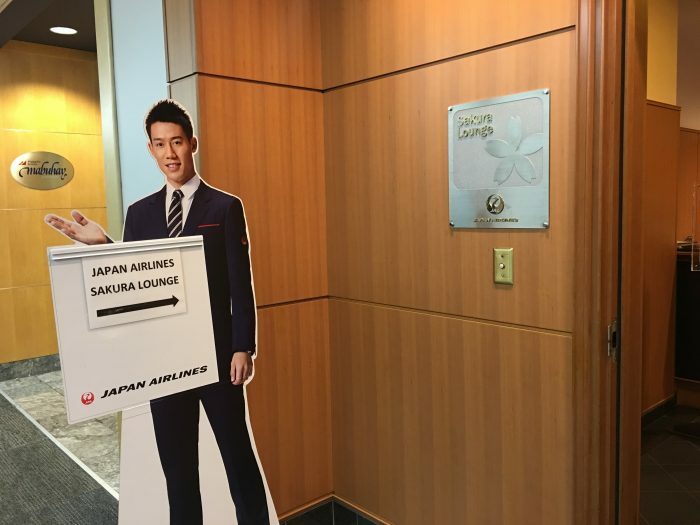 At least I was about to embark on an excellent JAL first class flight from San Francisco to Tokyo, but the JAL lounge experience didn’t get the trip off to the best start.